September was a month to remember. Not only because the summer kept lingering on, stretching those holiday vibes just a little bit longer. But because it was a month of first-timers. 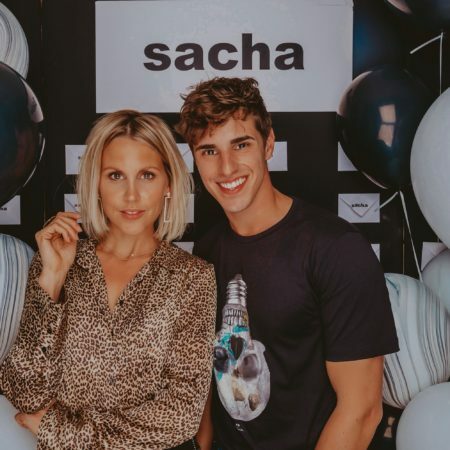 It was the first time I hopped on a plane to discover a new fragrance. Direction Milan. Also, my first time to attend Milan Fashion Week. 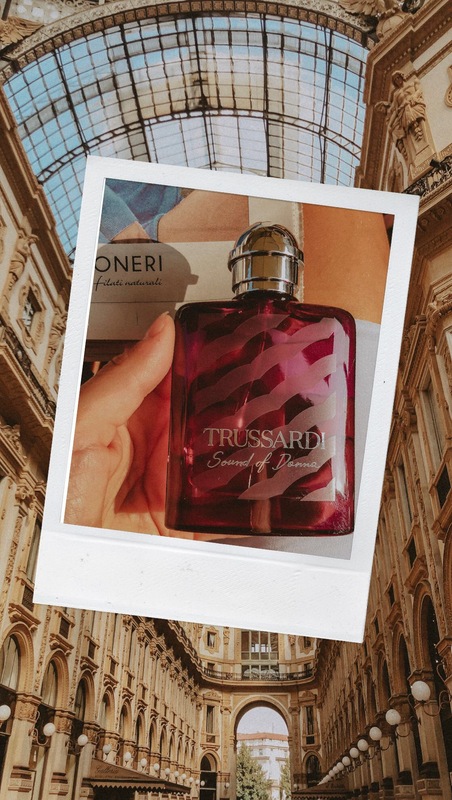 It was the iconic italian brand Trussardi who invited me to celebrate the launch of their new scent ‘Sound of Donna’. 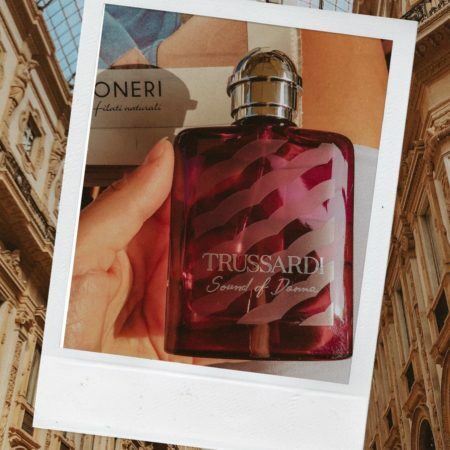 Just like you can’t understand a city without its nightlife, you can’t imagine Trussardi’s new fragrance without the vibes of Milano. Once touched down in the capital of fashion, we were plunged in the world of Donna. First thing was dinner with the team in the Trussardi Restaurant. Honestly the best food I had in Milano (cause I stayed a few days longer, so I’m not just bragging without a reason ha) and quite the fun company to explore the city with! 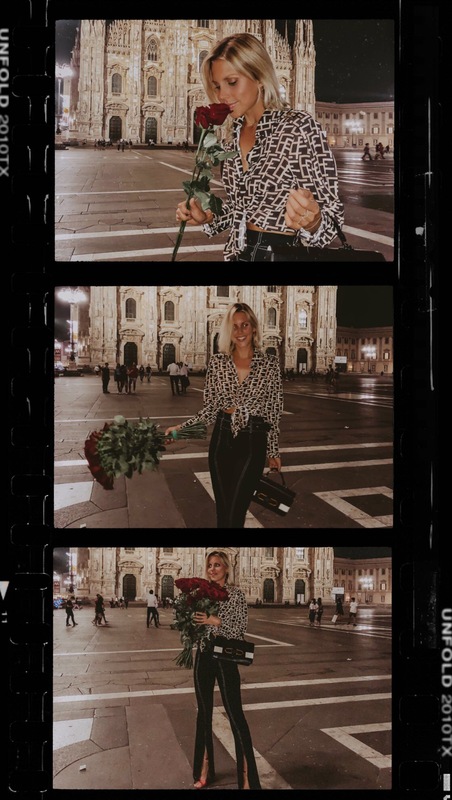 Release 5 girls in heels in front of the Duomo by night and you get tons of snaps and a bunch of flowers (tourist trap much?). Oh Milan, why are you so pretty! Next day I woke up from my massive suite in the Square Milano to find an early surprise in my room. When I open the gift box, music starts to play and a fierce ultraviolet bottle is looking tempting to be picked up and smelled. I don’t know the song, but it’s still stuck in my head when I hit the street, looking for a cappuccino and croissant. I was attracted to the bottle the same way I was attracted to the smell. Feminine, sweet and bold. Something that’s uplifting. Exactly like the feeling of waking up in another city, impatient to go out and explore like a child, but confident and bold enough to get lost, or rather getting carried away in unknown places. That unknown place was the next stop. I can’t remember but seen from the incredible view we arrived to, we were on a rooftop somewhere sky high. The same song that I heard this morning in my hotel room starts to play. Turns out that it’s a song by Annalisa Nali who is the face of the campaign or should I say the Sound of Donna. Her beautiful song and show makes me wish I could speak italian too. Maybe by next year I will understand a line or two. It was a day during Milan Fashion Week to remember. 35 degrees, the best company (met the coolest, inspiring girls) and a rooftop concert overlooking the skyline of Milan. 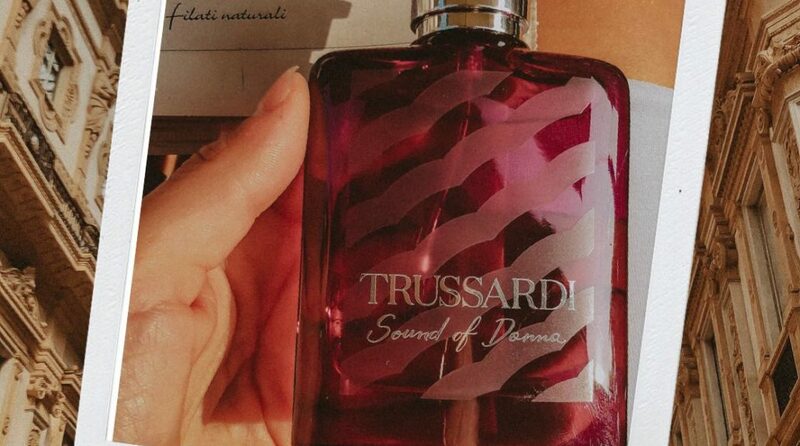 Thank you Trussardi for giving me this crazy opportunity to be one amongst the first to discover the new fragrance Sound of Donna. It’s been an honor!